Daiwa have come up with a tackle storage solution to allow you to keep you’re your different accessories in one place. 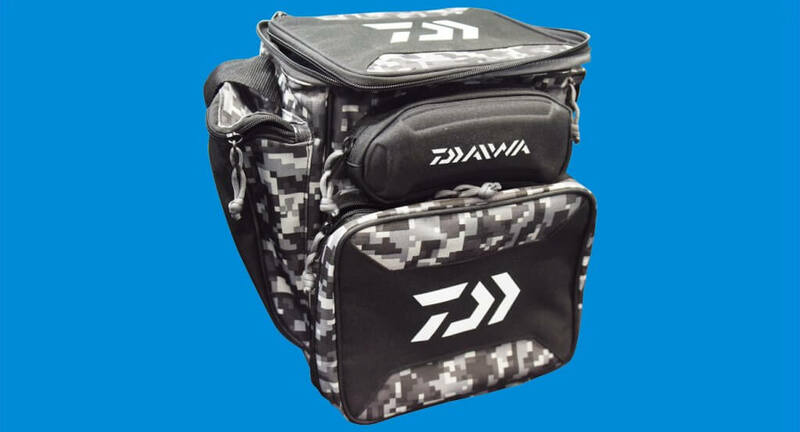 Daiwa’s series of Tactical Tackle Boxes have tons of storage, and the large top pocket will hold five 3600 sized trays (medium) or five 3700 sized trays (large). It also features a moulded sunglasses holder, two zippered side pockets on the back, mobile phone/GPS holder on the front and pliers holder on both side pockets, so you don’t have to leave anything behind to save on space. Large carry handles, padded shoulder strap and great tackle organization will allow the angler to take the Tactical Tackle Boxes everywhere. Each box comes with five Modular Storage Trays, which are perfect for lures, jigs, terminal tackle, sunblock and tools. The DTTB-60 (medium) is 9” x 13” x 14”, while the DTTB-70 (large) is 12” x 14” x 12”.